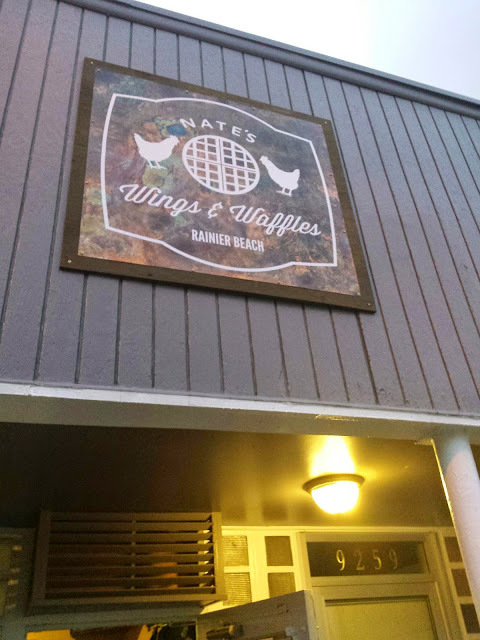 The restaurant is Nate's Wings & Waffles, serving chicken strips, chicken wings, sandwiches, waffles, and different side dishes. 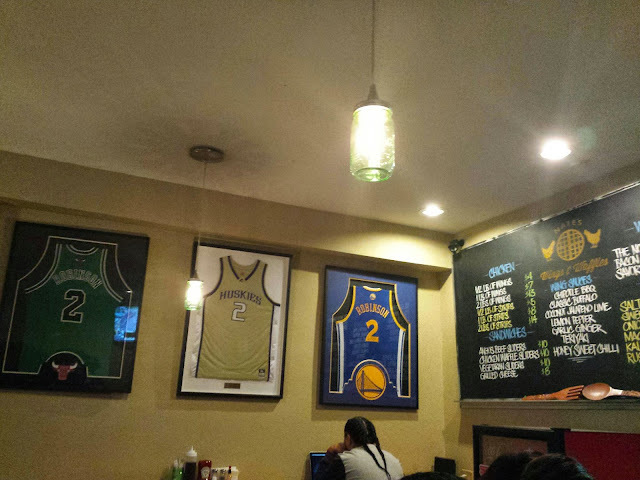 The restaurant is nice cozy place with Robinson's paraphernalia, if you will, decorating the walls. I had been late to the game hearing about the grand opening since I was in Asia at the time, but I figured it would be better to go when the press around it died down. Finally, about a few weeks ago, I was able to go check out this place for myself! I went with a friend and we decided to order food to go in case the place was too crowded. In the previous weeks, I had been seeing many people's status updates and Instagram posts about how busy the place is so I wanted to avoid waiting in lines and waiting for seats. When we did end up going there (around 5:30pm on a Tuesday night), the place was almost empty. We didn't have to wait at all and got lucky it wasn't crowded! As we were in line, we were quickly handed a menu to look over and the ladies there were really friendly and helpful. The food came out fast and we did not have to wait (most likely because we were one of the first people in line--more people came in after us). I was hungry so I ordered a lot. 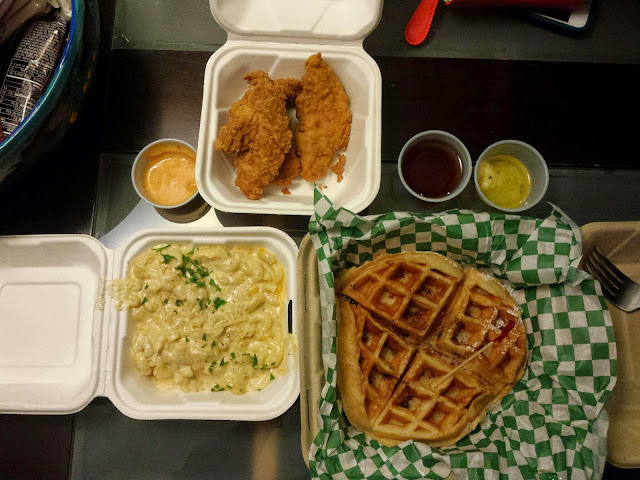 I had the half pound of chicken strips (non spicy), the bacon waffle and the mac and cheese. I ordered the chipotle honey sauce to go with the chicken strips and it was such a nice change from the honey mustard I typically get at most other restaurants. The chicken strips had a little spicy kick (not a lot) and was seasoned well. The side of mac & cheese was a good portion too and had lots of cheese in it. My only gripe is that when I brought it home to eat, it was maybe only lukewarm in temperature, but nothing a little microwave action can't fix. After I nuked it for around 20 seconds or so, the cheese in the macaroni was nice a gooey and it was perfect. The place is great for locals and people who support Seattle athletes and sports in general. 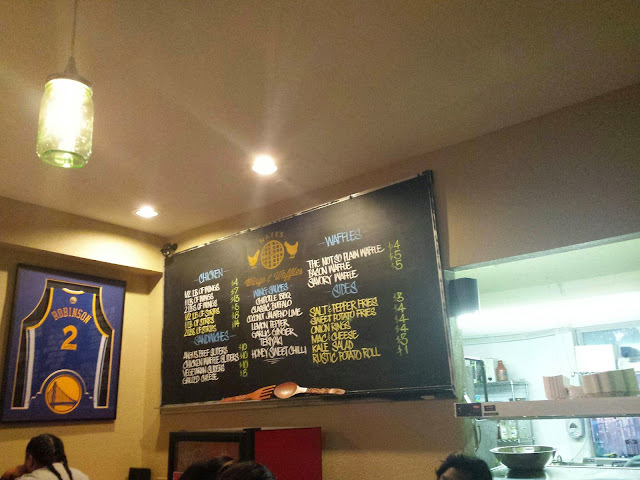 Even if you're not a sports fan and you're looking for some good homestyle food and flavors, this is a definite must. And side-note, you may also get a glimpse of a local athletes that support Nate and his restaurant (I had a friend see UW basketball Coach Romar) and maybe even see Nate Robinson himself! There definitely isn't a place up here like the ever-so-popular Rosco's Chicken & Waffles based in California so having a place like this close to home is a nice treat. I definitely will be back to this place. I have my eye on trying their chicken waffle sliders and kale salad! 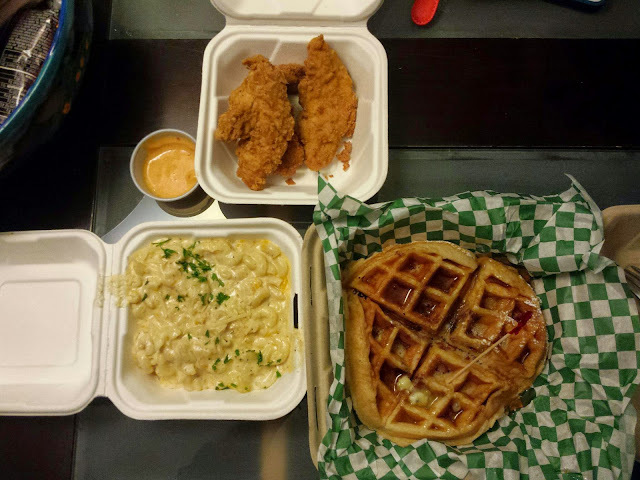 Readers, have you ever had the popular sweet & savory chicken and waffle combo? What are your favorite places for this type of home cooking? Let me know!